In 2004 Medina acquired Watson’s Dairy, in Hampshire and in 2007 the processing assets of Buckley’s Dairy in West Yorkshire. Both dairies are Grade A, British Retail Consortium (BRC) accredited dairies with the combined capacity to process over 200 million litres of fresh milk and cream. Buckley’s Dairy holds a BRC A Grade accreditation, while Watson’s Dairy has recently been awarded a BRC AA Grade accreditation, reflecting an ongoing investment programme being undertaken at the site. These existing fresh milk production facilities will now be complemented by Medina’s securing of an agreement to process an additional 100 million litres of milk per annum at the Severnside dairy. Our production facilities are complemented by a comprehensive national network of distribution centres and a dedicated food service centre in Covent Garden to service the London and South East market. 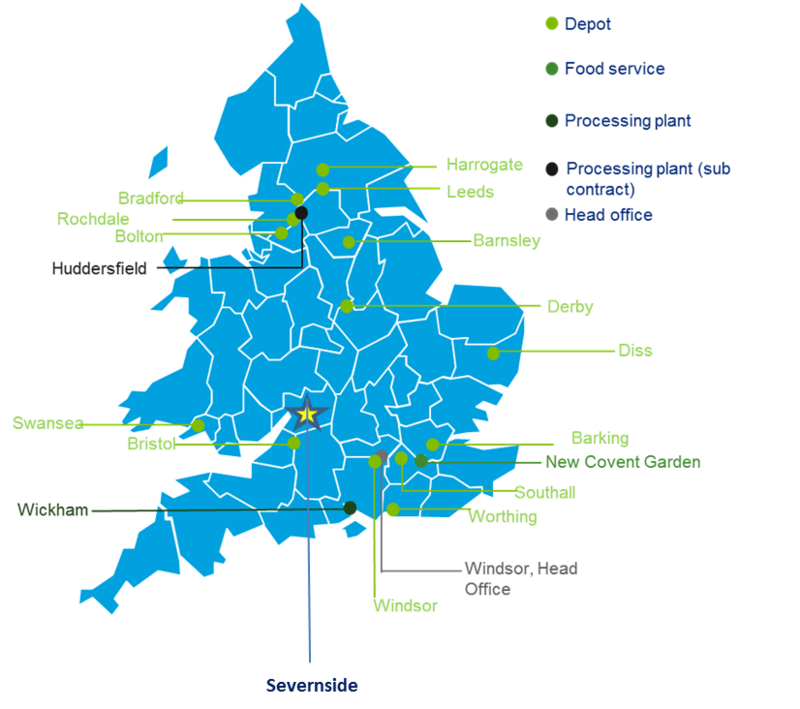 This network allows us to deliver a range of over 400 products on a just-in-time basis to some 5,000 customers across the UK.